Specifically in the ingame mods menu - if mod A optionally depends on mod B, and some version of mod B, having a too-old version of mod B causes mod A to fail to load. 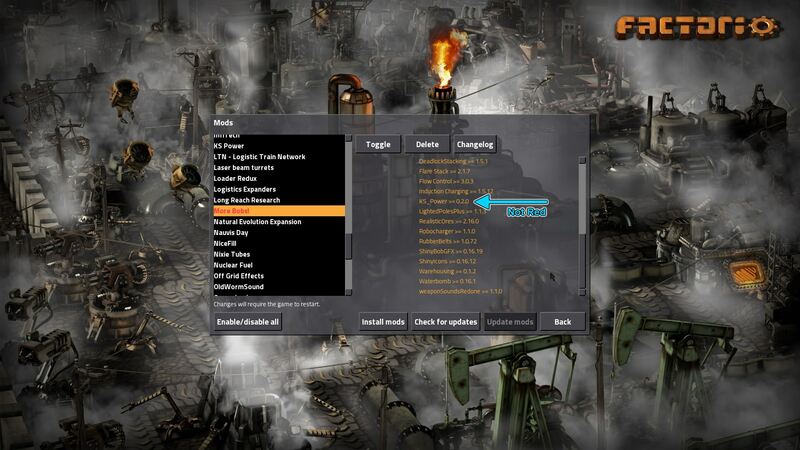 This is fine, but the problem is that it gives no visual indication - or even a message in factorio.log - that mod B failed to load due to a dependency problem; the relevant optional dependency of mod A is marked in orange, not red. Thanks for the report however I can't reproduce what you describe. When I set a dependency as needing a version newer than what's available it shows red - as expected. Can you please upload a minimal set of mods that reproduces the error? Rseding91 wrote: Thanks for the report however I can't reproduce what you describe. When I set a dependency as needing a version newer than what's available it shows red - as expected. This is the reason for the problem I was having and we discussed on Discord a few days ago. Ok, It had to be an optional dependency that wasn't met to show up wrong.